We all know the benefits of a restorative good night’s sleep. But with our modern day lifestyles, sleep is often being sacrificed for other activities or is disrupted with our busy mind chatter. To help you understand sleep better, here is a little summary on the science of sleep. 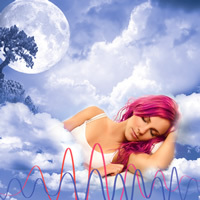 Science recognises 5 stages of sleep and during sleep we pass through different cycles of Brainwave states. 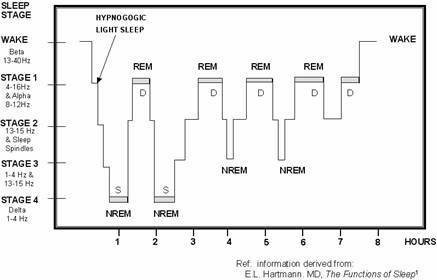 The first four stages are what’s called non-REM (NREM) Sleep. 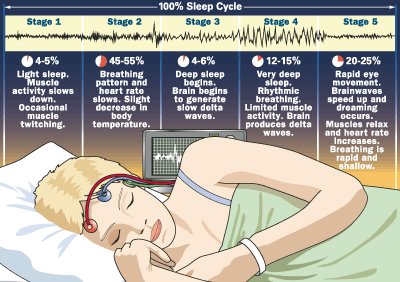 The fifth stage is called REM Sleep (REM stands for Rapid Eye Movement). Stage 1: This is a transitory stage between being awake and drifting off to sleep. The brain waves begin to move from the relaxed state of Alpha to the deeper state of Theta. Stage 2: This stage of sleep makes up to half of all sleep time showing predominately Theta Brainwave patterns. Stage 3 and 4: These two stages are grouped together and are termed Slow Wave Sleep (SWS). As you move from stage 3 to 4 you show less of the Theta Brainwaves and increased Delta Brainwaves until in stage 4 Delta completely dominates. The SWS stages are the deepest and often called “restorative sleep”. Stage 5: This stage is called REM sleep where there is intense neural activity with an increase in blood circulation. So in relation to the first 4 stages is not a restful state for our lovely brain. It was once though that dreaming occurred only in this stage but we now know that it can occur in any stage. During sleep we will pass through these stages in a cyclical fashion (see graph above). So for example the first cycle is Stage 1,2,3,4,2,REM. One complete cycle lasts up to 2 hours and you will note that the cycles are not necessarily exactly repeated. Obviously there is great variation between us all.